We currently manage rental property in all areas of the Kansas City Metropolitan area. We are comprised of professionals who market, lease, move in tenants, collect rent, handle maintenance, make ready and rehab. We provide monthly reports to owners; move tenants out, and provide all aspects of full turnkey services. If you are a true investor, have never managed a home, are not familiar with the Landlord Tenant Laws, or just don’t have the time to do it, than this is the program for you. It is our most popular option. Your investment is not just about a building - Rent Robin understands that Management is about People and it is always CHALLENGING! 24/7 availability, Tenants expect repairs to be made yesterday and the law mandates we respond quickly. We have the vendors available to handle emergencies, maintenance, make ready, rehabs, and renovations. We manage, pre-screen, and oversee this process with all of our vendors. 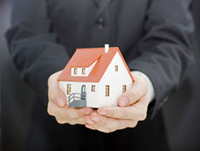 We are also able to manage utilities between tenants. All Property Managers Are NOT the same, and we work hard every day to be the company that Owners, and Tenants respect, and can count on. Our experience and your goals are the perfect formula for SUCCESS! We advise our clients on preparing your home for today's rental market, so that they receive the most benefit from their investment. We have invested in and developed tools, systems and experience to make your investment more lucrative and less stressful. 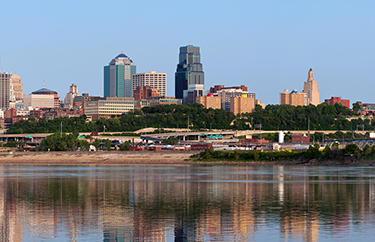 Kansas City, Missouri, is often abbreviated as KC. It is officially nicknamed the City of Fountains. With over 200 fountains, the city claims to have the second most in the world, just behind Rome. Areas near Downtown Kansas City include the 39th Street District is known as Restaurant Row and features one of Kansas City's largest selections of independently owned restaurants and boutique shops. It is a center of literary and visual arts and bohemian culture. Crown Center is the headquarters of Hallmark Cards and a major downtown shopping and entertainment complex. It is connected to Union Station by a series of covered walkways. The Country Club Plaza, or simply "the Plaza", is an upscale, outdoor shopping and entertainment district. It was the first suburban shopping district in the United States, designed to accommodate shoppers arriving by automobile, and is surrounded by apartments and condominiums, including a number of high rise buildings. Copyright © Rent Robin. All Rights Reserved.